By college she was headed to medical school (pre-med). Her boyfriend at the time’s mother was in a bad car accident, and having seen her in pretty bad shape, Kacee realized she was not going to be cut out for medicine. She did not do well with the site of blood etc.. Instead Kacee went to business school and got her MBA. After completing her MBA, she was engaged. The day she picked up her wedding dress, she found out he was cheating. She drove around for a week trying to figure out what she was going to do next. She did not want to stay there. She had just finished her masters, and it was a perfect time for a clean slate. She sold her house and her boat, and anything that wouldn’t fit in her Nissan Armada. Then she headed for San Diego. The first thing did, was change the company name to Cloud9 Real Time. They grew the company to 20,000 users. Side note – Cloud9 Real Time was sold to Abacus Next a few years ago. Robert had the vision. Kacee was the one who would execute – the strategist. She felt like she had taken things as far as she could go with Cloud9. Now she saw what a great community there was in the accounting profession, and she saw an opportunity to create a “voice” in the profession that would enable her to help others. It’s an accounting profession, not industry. When you realize this, you start to respect it more. When Kacee stepped out of her role with Cloud9 and into being on her own, she experienced something she did not expect. People started questioning the fact that she is not a CPA, and could she help them, without having this in her background? Kacee had mentors, including Greg Lafolette, Doug Sleeter, and Randy Johnston. These mentors helped her through it! The key was not to try and be something she wasn’t. 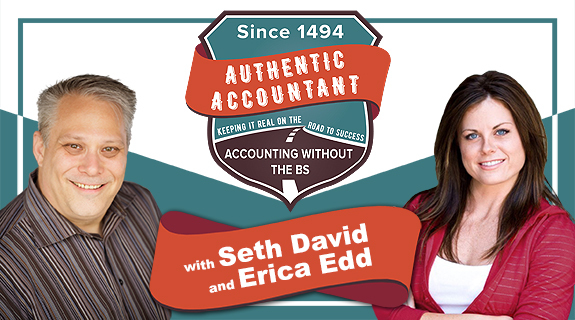 She owned it, and came straight out and told people she was not a CPA, but her ability to help has to do with the fact that she understands how business works, and she’s been working with CPAs and other accounting professionals for years. There is a misconception among vendors that the entire profession is CPA’s. Therefore you can’t sell during tax season. Not really true. There are lots of non-CPA accounting professionals who work in this profession. Continuing education has helped. People like Doug Sleeter and Joe Woodard have helped, because conferences used to just cater to CPA’s. These guys expanded the scope. Also changes in technology have made a difference. It used to be CPA firms did mainly audits, reviews, compilations, and taxes. More and more CPA firms are doing financial accounting and strategic work. Kacee’s advice – seek out mentors. It helps to build self confidence, and it’s all about who you know, not what you know. Now Kacee is being approached by people who are asking her for help. It often comes back to mentoring. She’s leading events that will bring in executives from solution providers (vendors) to figure out how they can serve the profession better. Vendors (Intuit, Xero, CCH, Thompson Reuters, and now some of the Apps). Kacee is running events to bring these groups together. She’s working on a few ideas. Greg had created the Executive Round Table. The idea is to get these groups talking to each other. Kacee is working on a blockchain symposium – this is important as it is and will be playing a significant role in our profession. People put it off like it’s not relevant yet, but it is more important than you think, and it is coming a lot sooner than you think. It was on the way from the airport to an event, when Greg asked Kacee if she wanted to take over his role. Bottom line Kacee took the role, because it placed her in a position to have tremendous influence in our industry. So she packed up Blue Ocean Principles, and moved into this role. The second one is where blockchain really comes in. Kacee may not understand blockchain, but she can help CPA firms learn to work with it, and build services around it. Kacee’s goal is to change the conversation from one of fear to one of embracing the opportunities. Step 1 – people have to understand that blockchain is not bitcoin or cryptocurrency. It is the technology platform that underlies those things. That is just one small piece. Step 2 – learn the other things that blockchain will help with; smart contracts, and secure transactions, as well as real time audits. CPA.com will be coming out with a “special friends report” to help people better understand blockchain. At the AICPA there are a ton of resources. Kacee will be speaking on a blockchain panel. Is Blockchain the End of the Audit? Blockchain: What can we do with it?